Anyone working for a company offering aircon servicing could go on and on for days telling you about the horror stories of customers dealing with air conditioning breakdowns at the most inappropriate time of the year. Everyone fears the day when they turn on their air conditioning and feel nothing but warm air flowing out of the vents. Unfortunately, those horror stories and fears aren't enough to convince most people to keep up-to-date with their aircon services and some even go to the point of actually trying to fix the problems themselves. The good news is you don't have to dwell on what could happen if you don't schedule your home for regular aircon servicing. You don't have to listen to all of those horror stories because the problems of those others have nothing to do with you and your home. You have enough to worry about and don't need to add the "what if" scenarios and fears to the list. There is something related that you cannot afford not to think about, though. You cannot afford to stop thinking about how forgetting aircon services affect the comfort of your home. Below are some of the reasons why you should not perform DIY Aircon servicing rather, you should opt for professionals. How hard do you work to keep your home clean and sanitary? How much time have you spent painting walls, putting up window treatments, and moving around furniture in your home? If you are like most people, you spend lots of time fixing up your home so it feels comfortable, warm and inviting to your loved ones and friends. Part of setting up that warm environment is making sure that your air conditioning is working properly. When the air goes out you have the wrong kind of "warmth" in the home. Things get unbearable very fast and all the other comforting elements of your decor no longer matter. Without the right skills, you will just make everything even worse and thus you should contact a reputable aircon servicing company to handle the issue and maintain the serenity of your home environment. You now know how important aircon servicing is to the comforting vibe of your home, but it is also very important for the safety of everyone spending time in your home. This is especially true if you live with or spend a lot of time with the elderly or young children and babies. The older and younger members of your family may not be physically equipped to deal with a breakdown of the air conditioning. Every year elderly people and children die because of the heat and all too often it is inside a home where there is no functioning air conditioning. If you sign up for aircon services and keep your appointments at least twice a year, you can cut out much of the worry over the comfort and safety of your home. When you allow an aircon servicing company to upkeep your home you drastically reduce your chances of experiencing a major problem with your system. 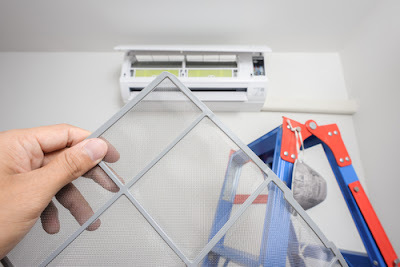 Since many elements of your air conditioning system are shared with your heating system, it is important to combine aircon servicing and servicing for your heater. The same technician can come into your home in the spring and fall to make sure your system is ready to pump out the air whether it is about to get cold or hot outside. Over time, it's exhausting to maintain everything that goes wrong having a home. In the event you relate to all of this, you might be carrying out homeownership all wrong. There might be an easy method to accomplish things that won't be so exhausting. Instead of fixing things simply because they fail, how about maintaining things before they really fail? It may be hard to think of things in this manner if you're always fixing things throughout the house, but there are things that are much better maintained than fixed. Maybe you need to replace parts of your ac. If so, you are aware how expensive and mentally draining it can be to handle ac problems. 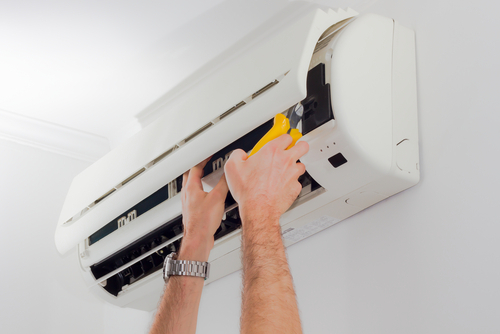 You might be real familiar with local companies providing aircon servicing during emergencies, but how familiar have you been with air con services that deal with maintenance? Aircon servicing is one thing better carried out by maintenance than emergencies. 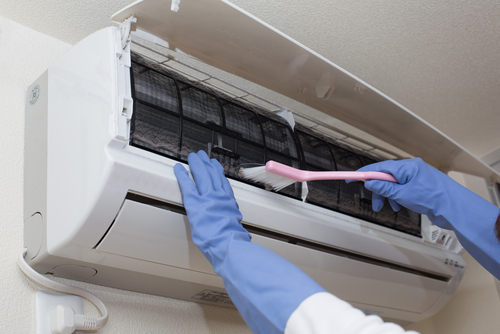 Air con services should enter your house once every year to evaluate on the body. Most prefer to do this in the year, that is right before the season whenever you will probably be relying upon the body to cool your house. By performing aircon servicing at this time you make sure situations are working properly and all sorts of required part replacements are carried out before you decide to absolutely need your ac system. It is much cheaper and time effective to own this yearly visit from your air con services than it is to simply fix the body when it finally gives out you. It is always cheaper and the majority less hassle to look into the future. Instead of searching for what is going wrong with your home at this time, start looking as to the "can become a problem later on". Maintaining over time is a constant chore, but it's a lot less stressful than fixing problems. You'll generally pay a smaller amount to maintain all aspects of your house than you'd pay to fix them when they fail. Additionally, you will possess a lot less drama and chaos in your life if your home is well maintained. You do shoulder lots of responsibility whenever you become a homeowner. In the event you keep an eye on maintenance rather than fixing, you'll feel less stressed! Also, its important to remember that anything worth doing in life will require consistency. You can't lose a large amount of weight without working out and watching what you eat consistently and you can't win the Olympics in your favorite sport without years of consistent hard work and perseverance. The same thing goes with your aircon services. You have to be very consistent with your appointments so they are perfectly spaced around through the year. This type of dedication can save you lots of money as you avoid breakdowns and expensive part replacements over the years. This is essentially how you get the most from your aircon services.